There is currently a troop of budding lithium explorers marching their way to East Africa and beyond, to capture a slice of the lithium-battery market, expected to become one of the biggest booming niche markets in commodities. One of the latest additions to the ASX lithium exploration peloton comes in the form of Prospect Resources (ASX:PSC), a company we’ve had our eye on since last year, and one that has a gold kicker to buttress its lithium ambitions. By building a suite of gold mines in Zimbabwe, it has a plan to generate around $2.7M in revenue per year – and that’s based on one gold mine, rather than the three or four PSC is targeting overall. But the news of PSC’s lithium project acquisition back in May was what really captured the market’s attention. Before we go too far, it should be noted that PSC is a very high risk stock. Getting mining projects up and running in countries such as Zimbabwe is no simple feat for political and social reasons, and there may be challenges ahead. In its latest move, PSC has acquired an asset that quite literally is a bit of an East African Utopia . More precisely, PSC has acquired the Arcadia Lithium Project in Zimbabwe, giving it clean-cut two commodity approach in that country. 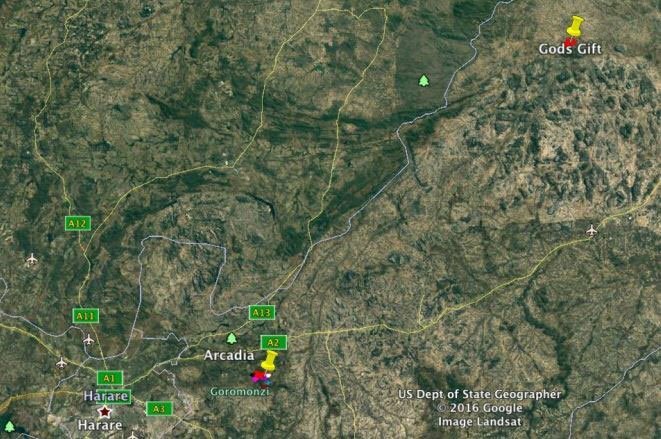 For PSC, the overarching strategy is to re-enter historically viable gold mines in Zimbabwe, apply some cutting-edge exploration expertise to generate previously unviable cashflow, and then use that drip-feed capital to advance the blue-sky high-value ticket item on its books: Arcadia. Early in June, PSC raised $2.67M via the issue of 191 million shares at 1.4 cents per share, with the proceeds used to fast track the Arcadia Lithium deposit. The funds will also be used to accelerate gold production at the Gwanda East gold camp. The first diamond rig will commence double shift operations any day now at Arcadia and a second rig has been secured and will be brought on site as needed. Overseeing all of this for PSC is local mining identity Harry Greaves, a fourth generation Zimbabwean who not only knows the lay of the land, but also how to manage the approvals process in the area. His local experience and previous successes as the driving force behind the acquisition of the Gwanda East Gold Project and Penhalonga Gold Project are invaluable to the project. Sharply rising lithium prices, growing exploration activity and boundless end-user interest are all adding up to prove that the ‘lithium-is-the-new-iron-ore’ story has legs. Stalking this lithium-ion story all the way from savannah to shelf, is PSC — this ASX company is swashbuckling its way through permitting hurdles, funding rounds, other explorers and politically anxious commodity naysayers — a company who we think could become a serious contender in East Africa. 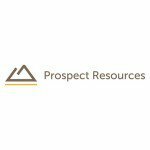 Prospect Resources (ASX:PSC) previously announced a date for commencing diamond drilling at Arcadia — June 25 th 2016. Given there has been no concrete news just yet at the time of writing – June 28 th , we would anticipate that drilling should be kicking off any day now. PSC will kick-off work on its maiden lithium project by initiating a comprehensive diamond-drilling programme comprised of two rigs, to work round the clock. Furthermore, PSC is adamant that it can add to its overall land position at Arcadia and expand its potential resource via not only, exploration progress, but also, more tenement acquisitions in the area. That’s the kind of thing we like to see here at The Next Small Cap — a company with a clear project pathway with various open-ended options supporting itself through any and all eventualities that may occur. The announcement came just a couple of weeks after it had raised $2.67M (before costs) in a heavily oversubscribed placement of 191 million shares as an issue price of 1.4 cents per share to institutional and sophisticated investors. The money is to be used to fast track its exploration initiatives at Arcadia. Chairman Hugh Warner viewed the strong demand as an endorsement of PSC’s exploration program and of its healthy balance sheet that he believes could create enormous value for shareholders in the long term. However, this is no guarantee of course – this is a speculative mining stock, and exploration may not be successful. Professional financial advice is always advised before making any investment decision. Let us go through what PSC has snagged in more detail, and see if it can realise its lithium ambitions. 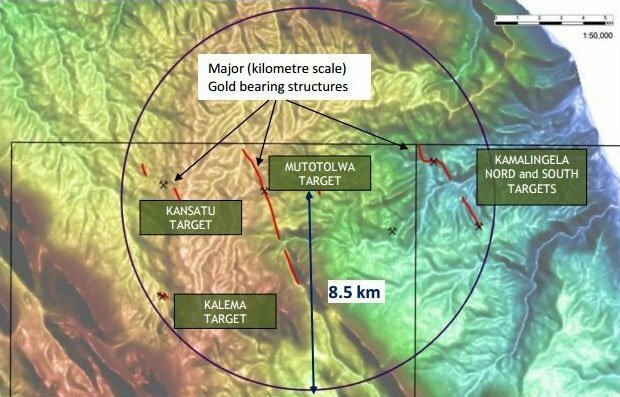 The good news for PSC is that substantial historical drilling has already been done which means there is data to work with in terms of narrowing down an exploration target and grade. Below is a summary table demonstrating the scale of Zimbabwe’s historical lithium production. Zimbabwe was once the 5 th largest lithium producer in the world around 40 years ago. 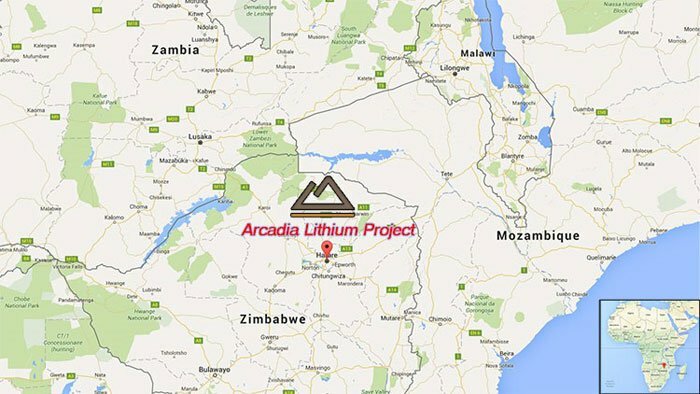 What this data shows is that the Arcadia Project has been responsible for over 20,000 tonnes of lithium production in its history, and therefore, there is a good chance of plenty more lithium below the ground given that East Africa is probably the most mineral rich region in the world. Next door in Mozambique is the Cabo Delgado region – yet another resource-rich part of East Africa that’s home to several ASX companies on the hunt for lithium, graphite and cobalt (otherwise known as the trifecta behind lithium-ion battery manufacturing). For now, PSC is already sure that Arcadia has a strike length of at least 1500m and could quite possibly be open at strike upon further exploration. Also, historical data shows that spodumene (lithium host rock) is abundant towards the east of Arcadia. PSC estimates that Arcadia has 15-18Mt @ 3.5% Li 2 O . Bear in mind, that anything over 2% Li 2 O is considered very high grade going by previous explorers we have covered here on The Next Investors. Not content with watching other ASX companies filling their boots in places like Nevada, Australia, South America, PSC has exercised the option to acquire 90% of the Arcadia Lithium Project in Zimbabwe, East Africa. 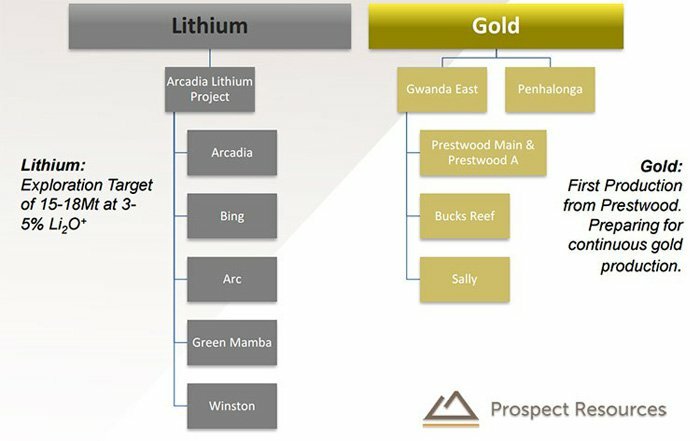 With its lithium ambitions now in full focus, one could be forgiven for neglecting the fact that PSC also has a gold project in East Africa, that’s also moving along nicely towards commercialisation and production. PSC announced its first trickle of gold production in April, routing over 270 tonnes of mined ore for processing. This first batch is as much of a proof-of-concept, than it is a shot at commercial profit for PSC. However, grades as high as 43.6g/t were recorded. From a historical perspective, Prestwood has been producing close to the surface since 1920, but there are still extensive portions of the geology at greater depths — and the good news is that getting to the high-grade gold mineralisation at depth seems to be economically viable for PSC. Armed with drill data from six holes drilled back in 2014 targeting the area below level four, PSC now knows the reef package extends to depth, with good grade proven. Overall, gold production is aimed at about 200 tonnes of gold ore per day by 2017, with Prestwood to contribute 40 tonnes per day, and around 200 ounces of gold per month. 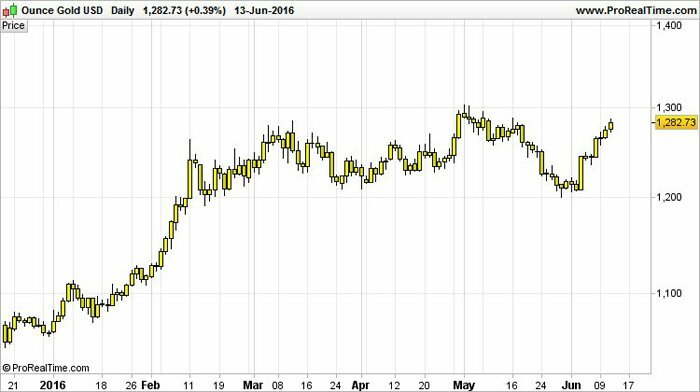 PSC has modelled a rather conservative gold price of US$1,200/oz. in its assumptions, which means that Prestwood’s annual revenue could potentially be as high as A$3.6MN per year. If the gold price continues its recent-spurt beyond the $1300 mark (which is not guaranteed and should not alone form the basis of any investment decision mind you), PSC’s fortunes are likely to improve with it. Notice the sharp spike in trading volumes in early June this year. The clear increase in investor attention and trading activity could be an indication that the lithium hype is slowly, but surely, turning into a reality. Bear in mind that lithium isn’t traded on exchange (yet) and operates on a limited spot market that’s largely dominated by Chinese producers. China is the price-setter given current supply, but that is all likely to change over the coming years as the lithium exploration bonanza goes global. ...that’s right you guessed it, a 300% increase in demand. All that lithium will be coming from a range of locations including the now famous Nevada region, home to Tesla. But, if we look at where the highest grade lithium is from a purely scientific perspective, there is one place that rules the roost when it comes to high value minerals: East Africa. East Africa is already home to a flurry of gold and graphite explorers due to its advantageous geology, so when the lithium boom began, it didn’t take long for sharp-eyed explorers to connect East Africa’s low-cost environment with some of the most conducive geology for the looming battery revolution. If we look at the ASX in isolation, there are now 63 companies pursuing lithium exploration, either as part of a unilateral lithium resource target, or in conjunction with other commodities such as gold or graphite. If that does not sound particularly impressive, then consider that in April 2016, there were only 35. The amount of ASX-dwelling lithium bounty hunters has almost doubled in just one quarter. That’s the epitome of a Boom. This is exactly the premise taken on by PSC. PSC’s timely move into lithium, with drilling to begin any day now, could be just what the doctor ordered to hopefully ignite its humble $0.017 share price and $23MN market cap. The lithium market is still in its infancy from a global perspective and is typically used for Industrial purposes, not energy storage. So, despite the world going a bit battery-crazy in recent years and realising that lithium is the key to make it happen — lithium’s production is still very limited and oligopolised by a few big players. Only four producers control about 85% of the entire global supply. Chile’s SQM and US-based FMC Corp and Albemarle Corp dominate the production landscape, extracting lithium from salt lakes in Chile and Argentina. The fourth producer is Australia’s Talison, which produces lithium at the Greenbushes mine in Western Australia, and is 51% owned by a Chinese company who takes almost all of the mine’s output for processing in China. The constrained level of current supply is not a problem just yet; but could soon become a catastrophe for battery-fuelled EV car manufacturers Tesla and its band of energy-storage cohorts, including China’s answer to Tesla — BYD. The ‘Oracle of Omaha’; otherwise known as Warren Buffett, backed the $16BN-capped BYD back in 2009, and owns around 10% of the entire company today. The rate of gigafactory construction will trump all previous estimates because energy storage isn’t just a fad – potentially, it’s a fundamental revolution in how energy is obtained and stored. If we see lithium-ion battery technology applied in cars, homes and industry, there could be over 1000 gigafactories coming online in the coming generation. If this proves to be the case, gigafactories could potentially take the lead in creating energy for industrial uses and supplement existing energy generation at power stations. With so many applications and possible future uses being developed, PSC is desperate to get a solid starting position in the momentous lithium boom we are witnessing. Junior explorers and miners are rushing head over heels to stake claims in lithium projects around the globe. 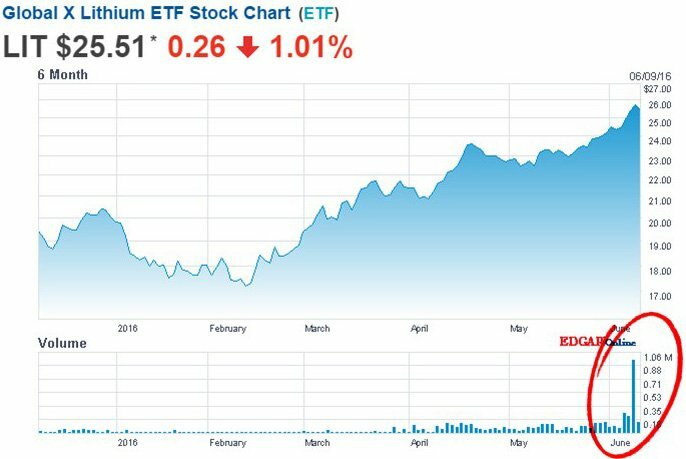 Australian resource companies have been the first to wholeheartedly embrace the lithium boom with over 60 now jostling for eminence on the ASX. Meanwhile, resource analysis reports and investor websites are glowing red hot with speculation that lithium-ion batteries will make it into every device known to Man, over the coming decade. Then there’s the electric car revolution which is expected to take over from the combustion engine at some point in the next 20-30 years. Lithium demand could potentially be on a direct path into proverbial stratosphere, and that prospect has enticed PSC. Of course, it’s still early days for PSC and there is much work yet to do, so seek professional financial advice and apply caution when considering this stock for your portfolio. 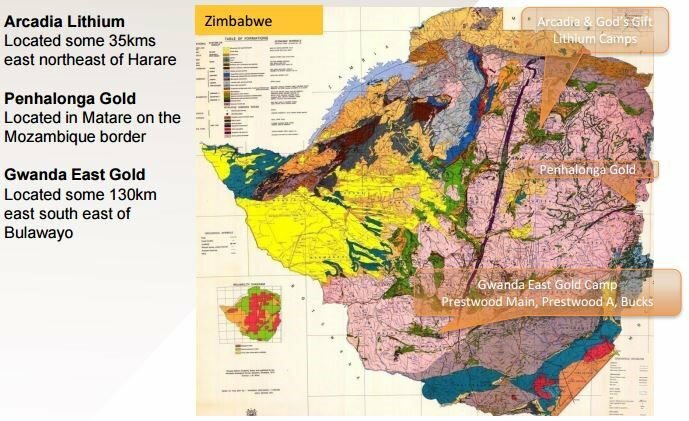 The bright spot for PSC is that its lithium project is in one of the most low-cost areas in the world — Zimbabwe — a country that is desperate to get back to its heyday of being the world’s 5th largest lithium producer. ...but retains a value of only A$23MN at today’s prices. PSC also has a local, 4 th generation Zimbabwean in Harry Greaves overseeing the exploration on the ground, who has an in-depth knowledge of the lay of the land including the political and social landscape – that’s a great advantage to have. Here at The Next Small Cap , that puts PSC firmly on our radar as an undervalued gold/lithium explorer with excellent land in one of the world’s lithium hotspots. We think PSC has every chance of emulating the success of several of its ASX cousins that have already reached out into lithium exploration and that already appreciating handsomely for their troubles. The lithium exploration boom continues, while the lithium-ion battery background continues to brighten on the back of Tesla and its cohort of gigafactory-building brethren fighting for territory in the EV space. With future energy-storage prospects looking as good as this, you would have to be on lithium to pass this Prospect up without at least considering it.